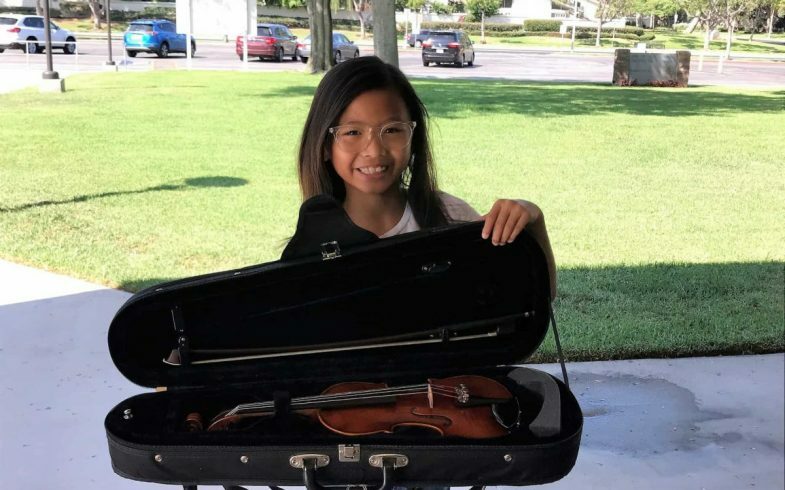 Each year, IPSF rents over 2,000 high quality musical instruments at affordable prices to students in the Irvine Unified School District. Proceeds support music programs across the district. 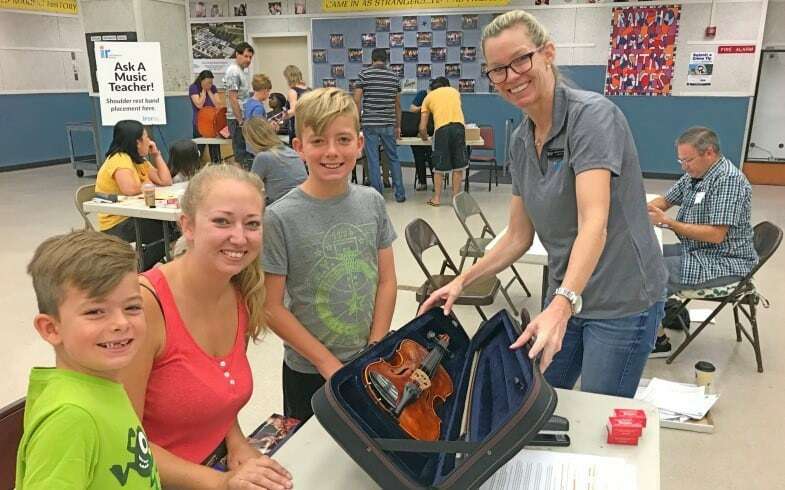 The Instrument Rental program offers parents a less expensive alternative to purchasing a new instrument that may only be used for a short time. This innovative program has raised more than $1 million over the years to support Irvine’s music program. The Instrument Rental office is closed for all School Holidays and Federal Holidays. If these office hours do not work for you, please contact the Instrument Rental office at 949.786.1278 to arrange another time. Is the Foundation part of the Irvine Unified School District? No, the Irvine Public Schools Foundation is a nonprofit organization that supports the Irvine Unified School District. What are the Instrument Rental Prices? What do I do if the instrument needs to be repaired? All repairs must be done by the Irvine Public Schools Foundation. Please contact us if you have a problem with your instrument. You may choose to pay for your instrument rental with a monthly credit card authorization for automatic payments, electronic check authorization for automatic payments, or bring payment to our office at 4861 Michelson Drive. Will you send me a bill every month? No, your credit card or bank account will be automatically charged each month in accordance with the contract you will sign. Where do I return the instrument? All instruments must be returned to our Instrument Rental office at 4861 Michelson Drive. Can I keep the instrument over the summer? Yes! However you will continue to be billed monthly rental payments as long as you keep the instrument. Does your office close during the summer? No. Please see office hours above. Time: 7:50 a.m. -12:50 p.m.
To ensure your rental process goes as smoothly as possible, please read the information below carefully before you make your appointment! If you need supplies, there will be a separate table for supplies at Instrument Rental Day. If you have an appointment, you may also purchase extra supplies after you pick up your reserved instrument, appointments are not necessary if you are only purchasing supplies. Please make sure that you have a valid credit card handy. A credit card is mandatory to rent an instrument. We only accept Visa, Mastercard or Discover card. We do not accept American Express. If your credit card declines, everything in your basket will be returned to the inventory and you must start over. String instruments (Violin, Viola or Cello): If you are planning on renting a violin, viola or cello, make sure your child has already been sized by their music teacher to rent the correct size. Please do not guess the size of a string instrument! There will be no size exchanges on Instrument Rental Day and playing on the wrong size can severely affect a child’s playing ability. There is a time limit of 15 minutes for each instrument transaction. After that, the instrument will be put back into inventory. Do not press the back button at any point during the transaction. A credit card is mandatory to rent an instrument. If your credit card declines, everything in your basket is returned to the inventory and you must start over. New instruments are brand new and have never been used. This is a slightly more expensive rental fee. All new instruments except cellos and alto saxophones are $28 a month. New cellos and saxophones are $48 a month. Standard instruments are previously used. These may have some cosmetic flaws. On standard string instruments cosmetic flaws include very minor scratches, chips and/or professionally mended cracks, none of which affect sound quality or playability. All standard instruments except cellos and alto saxophones are $24 a month. Standard cellos and saxophones are $45 a month. Fair instruments are older “well loved” instruments with multiple cosmetic flaws that do not affect the sound quality or playability of the instrument. All fair instruments except cellos and alto saxophones are $20 a month. Fair cellos and saxophones are $40 a month. If the instrument you choose is not available, try choosing a different condition of the same instrument. You will be able to rent more than one instrument if you have more than one child during one session. Be sure to print all documents at the end of your transaction. You may purchase extra supplies for any instrument at check out, regardless of the instrument for which you had an appointment. Please remember that if you do not appear at the appointment time, your instrument and supplies will be placed back into general inventory and you will be refunded the payment minus a restocking fee of $50.